World Football Commentaries: Carlo Ancelotti: "I don't want rapport with players. I want it with persons. It's different." Carlo Ancelotti: "I don't want rapport with players. I want it with persons. It's different." 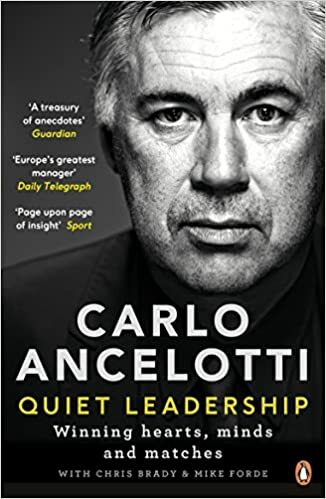 Carlo Michelangelo Ancelotti returned to Turin, Italy, to receive a literary award (Premio Nazionale Letteratura di Calcio "Antonio Ghirelli") for his recent book, "Quiet Leadership." He spoke for the first time about his sacking at Bayern Munich, his relationships with players, Italian calcio, the Azzurri, and what lies ahead for him. 1. On winning the literary prize and his famed calmness. 2. On his rapport with players. 3. On his immediate future. 4. On the Italian National Team. 5. On his 22 years in management. 6. On Vincenzo Montella's asking for him as his second-in-command at Milan. Bayern Munich allowed their "Senators," (experienced, highly-paid and influential players) to dictate the fate of their manager very early into the new season. Mister Ancelotti is one of the best managers in the world and the German club's management did not support him. When players are given this much power at one of the leading clubs in world football, to quote Arrigo Sacchi last week, "Bayern Munich has become just like any other club." Let's take a longer look at the comments from one of the most decorated managers in world football, Mister Ancelotti. "I would have come even if Bayern Munich hadn't sacked me. Clearly, they wanted to be sure that I arrived on time... Tranquility is my style. I had calm teachers: My school teacher, my father, Nils Liedholm." Mr. Liedholm was a famous Swedish manager who worked many years in Serie A. "They accused me of having too close of a relationship with my players at Real Madrid and in Munich, not to have it. You have to agree. But the truth? I don't want rapport with players; I want it with persons. It's different." 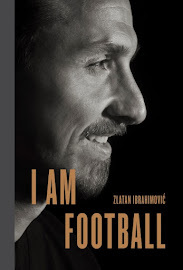 "I am happy to be here and to be able to speak in Italian (an indirect reference to those who accused him of being inadequate speaking in German). Now I will go on holiday until next June. I'll have a great time. And I will watch football for sure. I'm not worn out. I prefer it to the cinema or taking long walks. It's great to watch it even as an outsider." "The World Cup play-offs will be tough but we have compactness as a group, a solid defense and history. I prefer to manage a club team. It will be this way until when I'll have the desire to be on the training ground every day. Then I could accept being the Azzurri manager, if they wanted me. Even if, like now, other national teams could have a technical rate that is superior to ours." I can't say who is playing better now (in Europe), and anyway, it doesn't count for anything. If you play spectacularly before December, you pay for it during March and April. Napoli? It can be their year. Maurizio Sarri is working well because he has the possibility to give continuity to his project." "I would do it gladly as his assistant coach. Let's have a game for one, but we need to find a club that will do it. And we will find it." Italian source: Ancelotti: Bayern? Le mie scelte andavano difese. "; La Gazzetta dello Sport, 6 ottobre 2017; Stefano Cantalupi. Thank you for the link to your article about Mr. Ancelotti's book, Georgios. His book on tactics a few years ago also discussed management techniques.